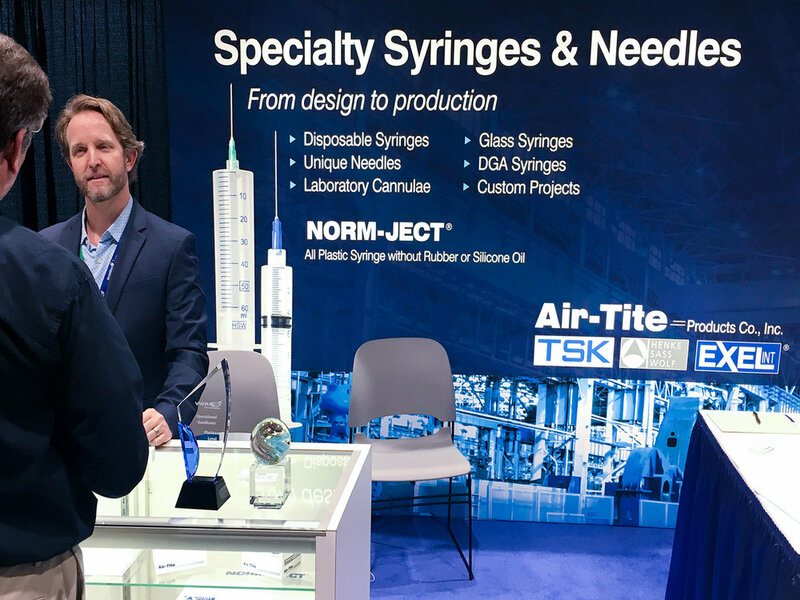 This backlit trade show banner acted as a beacon to attendees entering the conference floor measuring 12' x 10' including side panel wraps at 10". Printed with state-of-the-art technology using dye-sublination on a reflective nylon stretch fabric, the results were impressive. 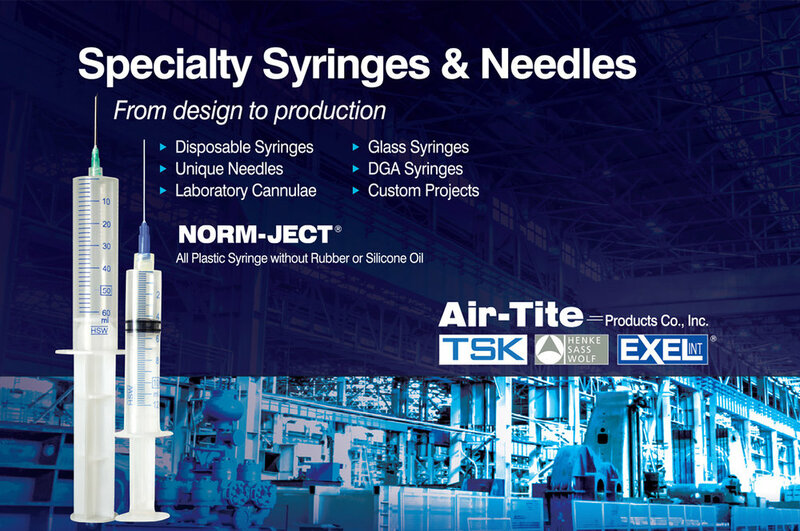 The BIG IDEA behind the redesign was to raise the bar aesthetically positioning Air-Tite Products, Inc. as a leader in laboratory and industrial needles and syringes.